Urinalysis Reagent Strips are made for urinalysis of both qualitative and semi-quantitative, which are in vitro reagent for diagnostics. It tests Leukocytes, Nitrite, Urobilinogen, Protein, PH, Blood, Specific Gravity, Ketone, Bilirubin, Glucose in urine. Please refer to the out-side box and bottle label for the specific test parameters of the product you are using. Urinalysis Reagent Strips are made for urinalysis of both qualitative and semi-quantitative, which are in vitro reagent for diagnostics. 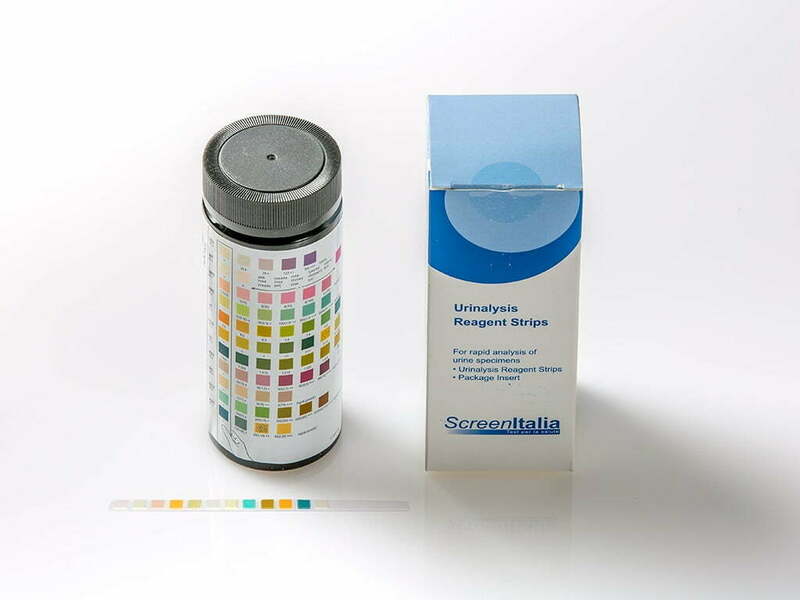 Control of general health, indicating the level Ascorbic acid, Glucose, Bilirubin, Ketone, Specific Gravity, Blood, PH, Protein, Urobilinogen, Nitrite, Leukocytes in urine. Single strip, to monitor healthy eating, and experience the urinary tract infection, cancer, kidney damage, gout, fever, cirrhosis, viral hepatitis, liver disease, congestive heart failure, janduice, diabetes and severe renal failure. Urinalysis Reagent Strips are made for urinalysis of both qualitative and semi-quantitative, which are in vitro reagent for diagnostics. It tests Leukocytes, Nitrite, Urobilinogen, Protein, pH, Blood, Specific Gravity, Ascorbic Acid, Ketone, Bilirubin, Glucose, Microalbumin in urine. Please refer to the out-side box and bottle label for the specific test parameters of the product you are using.